For you to be reminded, you have to pay thousands of pounds to access university. It is of course completely anti-democratic, and put knowledge access an only elite issue. I tried to develop this question throughout the posts I made on ‘university deperdition’. Basically university are at the image of capitalism and to make sure you access knowledge you have to be paid big salaries, for which you have to comply to the capitalism system. That is any questionment about the system is just kill in the buds. At uni one is rambling about the necessity of critical thinking, but in fact in our societies the information does not come out. Snowden, Manning, etc are the human cannon food fodder attesting of all that. There is national security, there is industrial secret, and then in all little and bigger jobs, the excuse of confidentiality, the patent on medication, and The Economist magazine that ask on cover of its issue whether its readers are for or against ‘organs trading’ and looting all winning, on and on without the slightest worries, or shadow of ‘interventionism’. The catch is that one will indebt oneself to pursue studying but when he/she will graduated, they will have no choice but to obey, every little violations, for their employers to employ them. To employ them to what? To neo-liberal prospects, expects, salary slate. The 600000K that one needs in U.S.A (for US a A) to pay their university without it to mean for them, to involve them, being well under their mortgages and finally be expropriated. One day, banks, in fat fact anyday, can start asking for student’s intelligence to be tested. These tests would only test the king kind of intelligence bank and other (part, parent, party) partners are seeking, leaving the others (types of intelligence or capacities) without higher education and idea on how ‘higher’ discourses, knowledge and information are distributed and formatted. Being put in the categories that have been voted out, casted out the higher education system. On top of intelligence tests, they could do personality test or simply test undercover or not testing the way one reacts or one sees or size opportunities. All this poetry to tell that thy could be tested on the way you are ready to be compliance to (nil null) neo liberal NO policies and whatever (hells) else politics will succeed it. Meaning you obtain high mark if making sure you offer and soul shell s-hall sell your soul for nothing (but them). Neo liberal policies of sponsorship and husbandery, pubonry, esquire escalation of scene and fracas. Frank case, frank K. Frank Kafka. 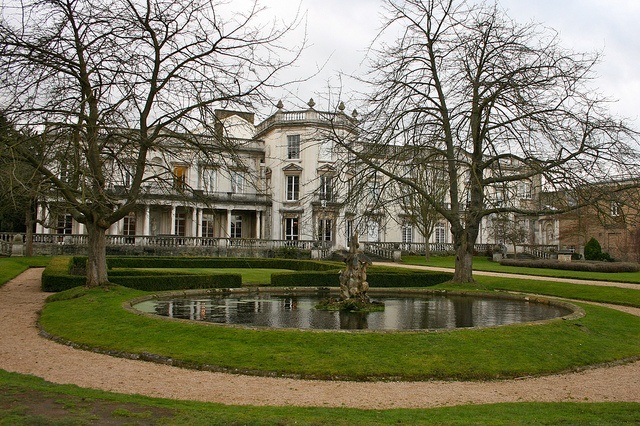 In Roehampton one is free to walk in, as it should be in any cultural center that is not preaching death, or death to the one that want more than being a serf at the service of the one that has rendered education a luxury that only middle (callous) class can afford at the price of their economy. To pay university this price and to annihilate the possibility of extremely specialized people, credited with a layer of diplomas, abling (cabling, aiming, ball, bailing) them to multi-disciplinary = to transcend = to exchange. To render any professions, and wages, the power of doing one’s jobs with dignity not deign = none at the moment – since doing without expertise and counter expertise and with the aim of servicing species expansions (not pensions) of (wheel) well behave and wellbeing towards all other extension. Also (solo) don’t think it is roe just like that , it is just a case study reversibly contemplating (temp-plate) the rest of the ‘universities’. Should be a UNESCO topic. There was a gay society in Roe, though none (nonsense nominee) of the students beneficiating from it, advertising it to other. It was a closed, almost secret one. Though doing fundraising not towards visibility but their little personal trip to gay pride outside the borders of UK. At profit, for the profit. Ho ROW! Say the overwhelmed little blushing secretaries. To secrete. On this post you can see Howe ROW university made millions of pounds creating a degree, it had the monopoly of: human rights single honors, and scrapped it to host yet again a rich, and new, state of the art, business and administration college centre. The department of philosophy promoting their evening lectures (bravo because they’ve got some, good even) by proposing wine. One should not promote alcohol this way, it induces almost that wine could render you intelligence, but addiction may begin at an age when one cannot say. Also just ending shortened lectures saying that students are happy that lecturers are paid for half what they are supposed to do, is setting bad behaviour, bad attitudes, irreverence, just kill honesty and is appropriate , sensible reaction to work deterrence (would lecturers taken students for would-idiots, or sloe (same pronunciation and as fruity language), slovenly type of worker in the making?, or is it a spurn well make or mask, or just the insurance that future graduate won’t be competing?). to assert that we want the lectures to finish quickly I think is for mots most of us in fact is untrue. It is to give rules (to empower and offer the last ‘work’, last word not lasting) to the less pressing, appreciative of studies. I thought I was a cultural and intellectual centre (dance, concert, expo rooms for the communities). Turn to be the house of the CEOs. Some of them not even real administrators, but for former lecturers their retirement home, no wonder everything start being weirdo (unorganised (if biology or functionalism is, admin staff) I should say, that ain’t their speciality, should have aca (aka academics) on boards, but not aca as new admin running silence, silencer, silencing, silence culture cine. Quietness only for them, for the rest, the idiots, a ten pound note to pay (their 50K plus expenses cine, big expenses when only looking at the gateau during conferences times, we won’t do nothing but acting like psyche). Cult errors. Cul terreux, cul terroir, cul terror, IQ, i cue. In matter of communities, some like to pays o much because they ve got reduction to go to leisure activities. Expensive ones, and one off on. Am happy some like it. Me, and uni should invest in knowledge not in in your being trippy. Won’t help the kids from Tripoli. Do you know what is left of the Crucible center efforts at compiling placement and NGOs networking…? Efforts, means here funding by the millions pounds for this (thud) to be in the doing. I tried, it seems it was a project for students, because god knows how difficult is to find any jobs without experience, in the non-profit sector. Even the experienced ones will find only unpaid offers. Not one word, what I think have been done. Is to produce paper work that one can archive to proof the millions of pounds actually had been used- but even not available to university students. But in this age of cavern (not that is the beer you are entice to consume by the very doctor that organise the lectures while coming to evening conferences), the digital age, not one single sheet is on the record. Tell me the opposite, but about crucible I search it on internet, I asked the university staff, nothing is left but the name- maybe because they benefit from other millions pounds projects- that they can hide from the world, would be like academic would benefit some other anyway. I am 100% for acas, uni, research, but what you do to me? The one help I personally needed at uni, was someone giving me specific advice on my essay. So thank you for when it has been done. Also thank you when I have been challenged intellectually, and not methodologically but that I admit it had not been many times. I think because it takes serious. Here yes education could be emphasized and I would understand why some teachers go earlier because they really make comments, very specific, and knowledge information even though you read as much as you could on the subject, you just not specialised enough to do an essay of a balanced and pin pinning situations and conceptions. Rarely the docs can, is what I think. That is for the value of research. Would stop them to give several lectures on different subjects to perfect beginners and maybe we would be taught by real professionals, and specialists, but that of course would say that they gave it a toss. That one for the recruiters, too. I know they ve got no time but what I say it is that ‘it is that, that is needed’. They could underline essay and give a 5 mn speech to all students that wish to. That could be possible. Instead of having to write everything down. As the disease of the docs are crooked ends, as in fingers and palms. Roehampton wants to have a green reputation. Just one or two facts. One stuff more, I really think that the lecture content is good enough at ROE though I went in some in which I learnt absolutely nothing. My opinion is that the ‘Groove house’ did not bother and recruit lecturers not up the job. Like is above said, I think roe is ok regarding to lectures content but even very few staff not up the job is enough when given lots of lectures or responsibilities to spoil the students year and rob them from necessary aptitudes. Recruitment giving lectures to professionals that were not committed. About the other types of disruption. ADRESS ARREST. It is only intellectual honesty to leave after every lecture, 5 to 10 mn brief, for students to ask question or to simply question the lectures, or add information that is felt to be lacking, any reasons that make learning and discussion progress. And can fight the narrative in which everyone is and has to be. The narrow narrative imposed by ‘art of the dissertation’ itself (or almost). This possibility is the ABC of pedagogy and is obviously not respected, no time for questions in almost every lecture, or quasi. They ask me to work and give them of my money more what I can spare in a full entire year of labour (lab or) for one year of their teaching and ask me not to ask questions after more than one hour lectures, nor pass comments. For who they take me, the new servants of pervy demagogy (demagogues, dodge)??? Do not take me wrong, there is very good, empathic, serious teachers and lecturers or admin at Roe. But it is certainly ‘cos of having being treated badly when trying to discuss some, that I would remind people thinking they own the key of antidemocratically stances and the door to your employability, counting on ‘students satisfaction’, so shussing everyone that could relativize the good order of auto satisfaction. Nevertheless, of course at Roe the green is so lovely that whatever happen we are happy. I hope the cats and all others are not due to the former rulers and will continue to be under Roehamtpon’s establishment protection. To finish I tried to feed the wild life (please do something for them) Roehampton’s, Barnes’ town green places and little woods are being devastated. AND RESPECT this beautiful place, that has for extra rid, extraordinary campus near London just a paradise of quietness hold by intelligent security staff that make studying within Roehampton campus a blessed journey. Stop the barbecue or grill veg, please. Students Grilling meat in this vast paddock near the ponds in front of the still surviving goose, ducks, and hens, heron… is just an image from hell. I think that this information are not prioritized at all because of people wanting a comeback of rampant slavery, sexual slavery included. In fact tools at regression and status-quo of progress and research versus professorate of horror and manipulative stories in order to have servants docile since dying and domiciliary. islam preaches worse than paedophilia but like mohamed its prophet who was polygamous and whose last ‘spouse’ was a child. « Sexual trafficking in the UK.